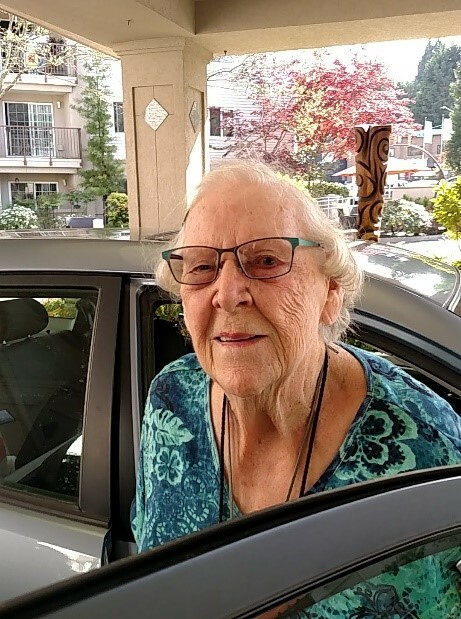 Dorothy Alice Johanson Mills age 95 of Seattle Washington went home to be with the Lord on January 22nd, 2019. She was born in Denver Colorado on January 19th, 1924 to Charles and Edith Johanson. Moving to Cheyenne Wyoming she graduated from Cheyenne High School in 1942. Dorothy worked for the Signal Core during WWII. She was a Girl Scout Leader and a 4-H supporter in Somis, California helping her 4 daughters with all their projects. She worked at Moorpark College and then Ventura College administration in the payroll department where she also took classes to receive an AA degree in 1997. She was very involved in Eastern Star being a member of both the Oxnard and Ventura chapters. She served as California deputy Grand matron in 1997. She also was part of the Red Hat Society. She is survived by her brother, Charles Johansson (Helen) of Albuquerque New Mexico and her four daughters: Marilyn Mills (Grant Tonkin) of Littleton Colorado, Deborah Feeley (Dennis) of Rogue River Oregon, Judith Mills (Alfred Ruiz) of Henderson Nevada, and Susan Holliday (Randy Srnsky) of Kent Washington. Two grandchildren: Josh Smith (Sofi Ortega) of Redmond Washington, Erin Smith of Maumee Ohio and three great-grandchildren: Nicole Smith, Abby Wooten & Grace Smith. She will be remembered by all who knew her as a woman with a generous heart, youthful spirit and zest for life. We love you and miss you more than you can imagine. A private family celebration is planned.